The total membership of the fraternity exceeds 150,000.
philanthropic division of the fraternity. and which support after-school programs. 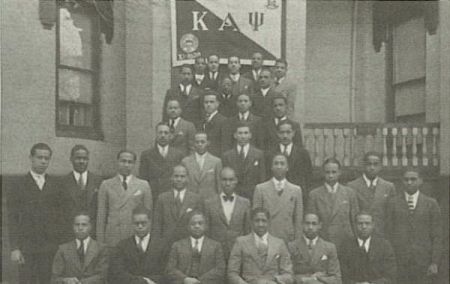 William L. Crump, The Story of Kappa Alpha Psi: A History of the Beginning and Development of a College Greek Letter Organization, 1911-1991 (Philadelphia: Kappa Alpha Psi Fraternity, 1991); Daniel Soyer, "Fraternities and Sororities," Encyclopedia of African-American Culture and History (New York: Macmillan Library Reference, 1996); Kappa Alpha Psi Fraternity, Incorporated, 2002, http://www.afkapsi.com/History.html.